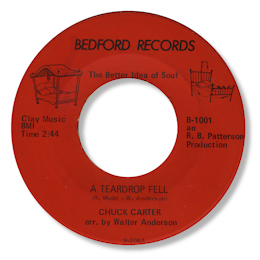 In Northern soul circles Big Apple singer Chuck Carter is known for his thumping Brunswick 45 and for the fact that Ace UK have issued an unreleased cut from the same label to great applause. For deep soul addicts like me however it is his other 45 for Bedford for which he is highly regarded. A Teardrop Fell is a version of a song first recorded in the Carolinas by Little Ronnie Mudd, accompanied by the great Kip Anderson and my late friend Jay Spell on keyboards. And whereas Mudd, who was very young when he cut the number, sounds pretty mature particularly in the little rap, Carter is the real deal. His lovely high baritone slides over the notes superbly well, and his passion at the climax is just gorgeous. He is helped by a righteous setting of organ/piano and a full horn section. One to cherish. 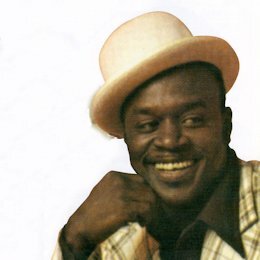 In the 70s Carter became one of the founder members of the group The Gospel Truth, later renamed the Facts Of Life. This wonderful trio will be the subject of another page on this website soon. Note - The unissued Brunswick cut that surfaced courtesy of Ace UK is called "I'm A Lover".